Being charged with a crime is one of the worst experiences in life. What makes matters worse is navigating through the criminal justice system without a clue regarding what happens next. The criminal justice system is complicated and it includes numerous procedures along the way. After an arrest, the police communicate with the prosecutor’s office to discuss their perception of the facts surrounding the case. The prosecutor determines whether to charge the individual with a crime based upon the evidence provided by the police. Next, the arrested person is arraigned in district court. At this time, the judge notifies the defendant of the charges and informs them of their constitutional rights. If the matter meets felony criteria, a probable cause conference is set. During the arraignment, the judge notifies the defendant of their bond and tells the defendant other conditions that must be met, such as no contact with the accuser. A pretrial conference (or probable cause conference) commences after arraignment and at this time, an attorney from the prosecutor’s office meets with the defendant, or their criminal defense attorney, to discuss whether the case will go to trial (for misdemeanor cases) or preliminary examination (for felony cases) and if a plea bargain is an option. 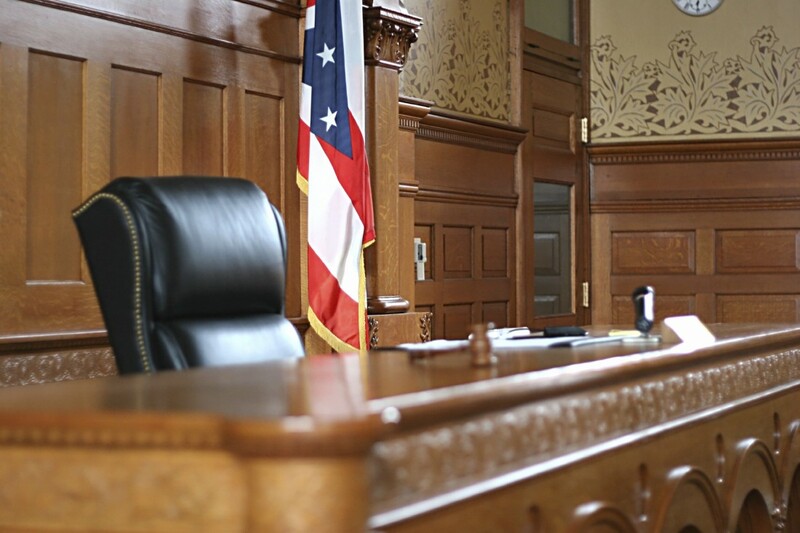 For felony cases if the preliminary examination is waived or if probable cause is found at the preliminary examination, the defendant is then arraigned again in circuit court. Again, the judge notifies the defendant of the charges and makes them aware of their rights. The defendant can state whether they intend to plead guilty, not guilty, or no contest. In the event of a not guilty plea, the judge sets a trial date. The trial consists of the prosecutor attempting to prove beyond a reasonable doubt that the defendant is guilty. The defense attorneys attempt to create reasonable doubt in the minds of the jurors and present any applicable defenses throughout the process. After both sides have made closing arguments, the judge instructs the jury and explains what can and what cannot be considered when making a decision. After the jury renders their decision, it is read aloud in court, and if the jury finds the defendant not guilty, he or she is free to leave, even if they have been incarcerated while awaiting their trial. However, if the jury finds the defendant guilty, the judge will decide on a sentence. If the Defendant is on bond, the Defendant’s bond can be addressed by the Court. The final step in the process is the sentencing (if a conviction occurred), and at this time, the defendant learns their fate. The defense attorneys might choose to appeal the case to a higher court if they believe that there was an error in the way the law was applied to the case. Given the complexity of the criminal justice system, those charged with crimes need the help of an experienced and successful criminal defense attorney. If you’re facing criminal charges, the expert lawyers at Hilf & Hilf, PLC are ready to help you build your defense. Contact us today to schedule a consultation!